Best vacation ever and would do it again! 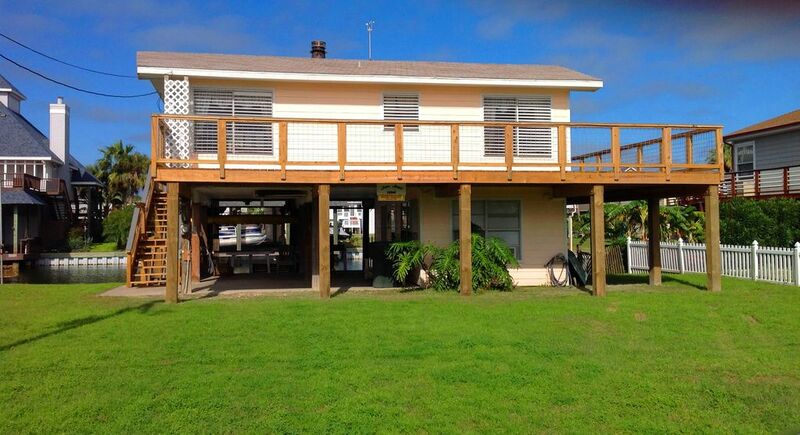 the family loved the quick access to the beach and the fishing at the house love love love!!! My canal house rental experience was good. The location of the house is great. . The property description listed was accurate . The ambience at night I while sitting on the upper deck was very relaxing The property was clean but a couple of maintenance issues lessened the overall rating: when I arrived (at night) , while going up the stairs to get setup ,the stair rail gave way and broke in the middle while I was using it to go up. Could've been a bad fall but I recovered in time so no harm resulted. The other maintenance issue was, while attempting to shower in the downstairs shower the knob that conrtrols the water just fell apart in my hand so I had to do some improvising but it worked out. The only other thing I took exception to was the fact that the bed linens were just left packaged on the bed. ( With a +$100 linen fee I expected made beds) After an all day deep sea trip I was disappointed to have to make beds before lying down. I kind of thought the beds would be made. Despite those issues, the overall experience was positive. Everyone involved enjoyed themselves. I would be open to staying again. Galveston was 20 minutes away for dining and other entertainment, Walmart was located along the way on the main drag. There was also a local market that was well stocked just up the road in Jamaica beach. We also fished the canal and went to the beach which is 5 min away. Enjoyable experience overall. Very enjoyable. Had canal access, close to beach and bay. A/C (window units etc) a little underwhelming but managable, would appreciate management pre-cooling prior to our arrival. Very nice little house. Appreciate 2 night rental option. Pet fee a bit pricy so I didn't bring dog. Could have used another key set for others in party. The house was clean abd had plenty of space for our family. The down stair are was perfect for us since we hsd grand babies up stairs. The biggest down fall was the bed. Futone matresses were lumpy and very uncomfortable. Over all a great house for the money. Wir benötigen die Hälfte des Mietbetrages, um die Reservierung zu buchen. Der Restbetrag ist 7 Tage vor Reservierung. Wir akzeptieren Mastercard, Visa und Discover. Muss 25 oder älter sein, um zu reservieren. Keine Prom-Gruppen oder Parteien.